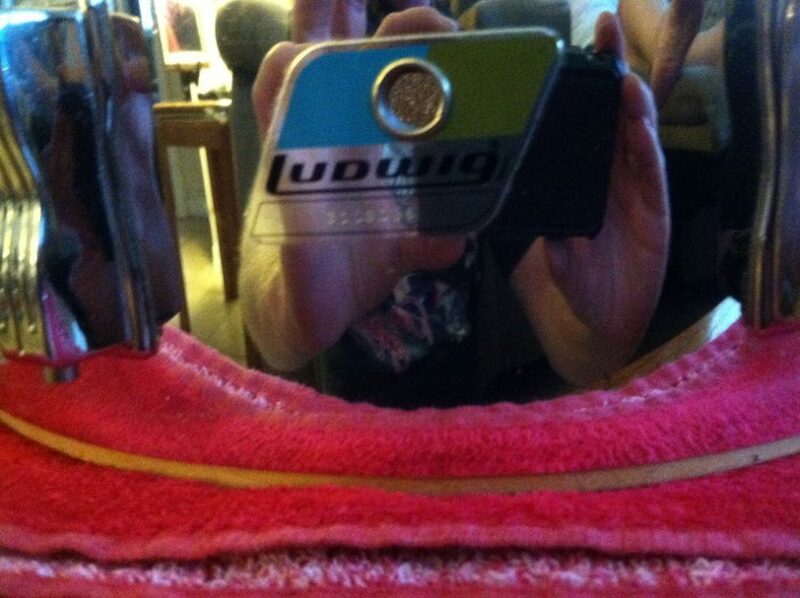 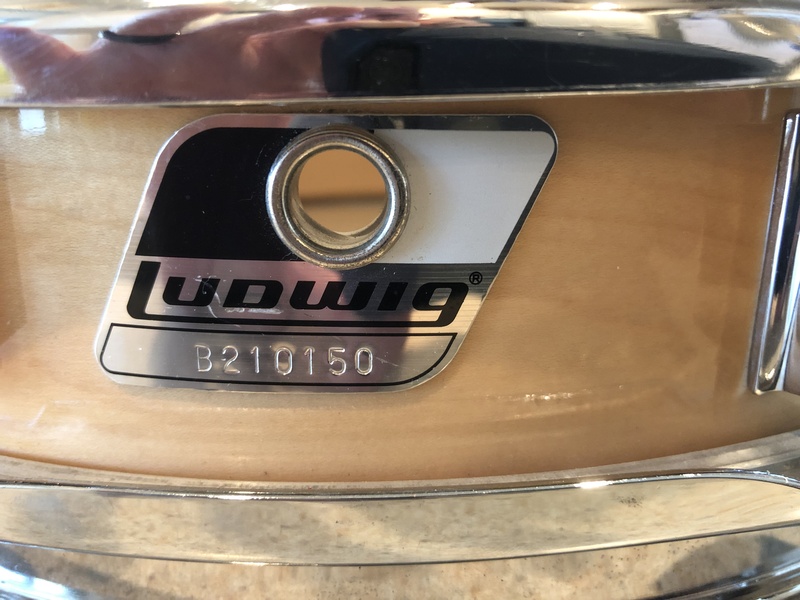 This is my Ludwig Black Beauty. 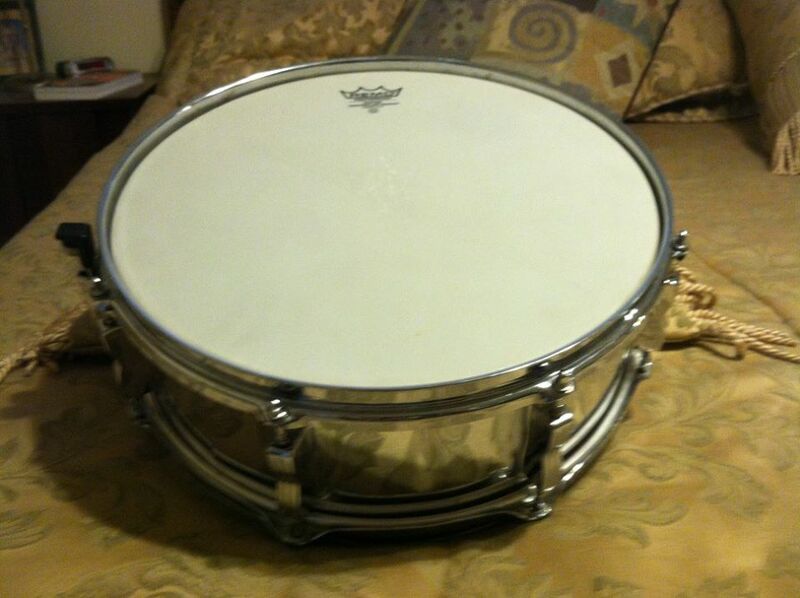 It is currently my favorite drum and one of my most prized possessions. 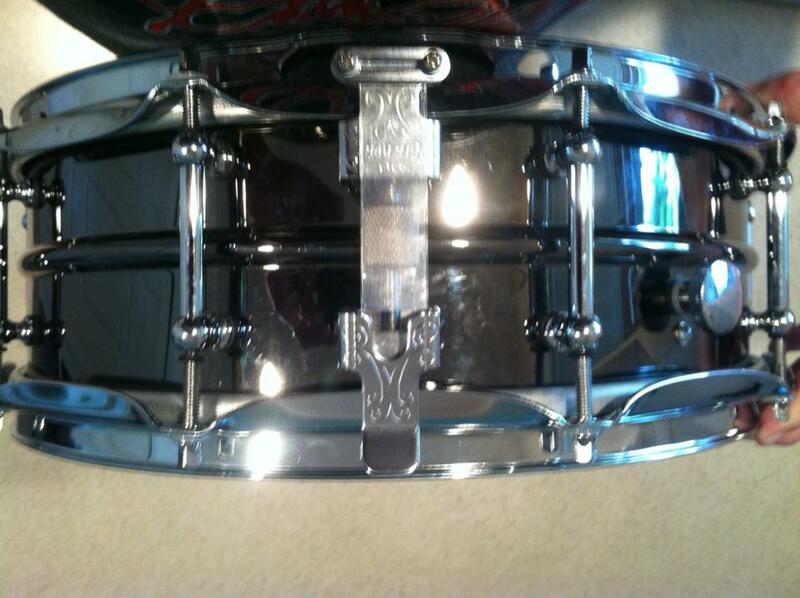 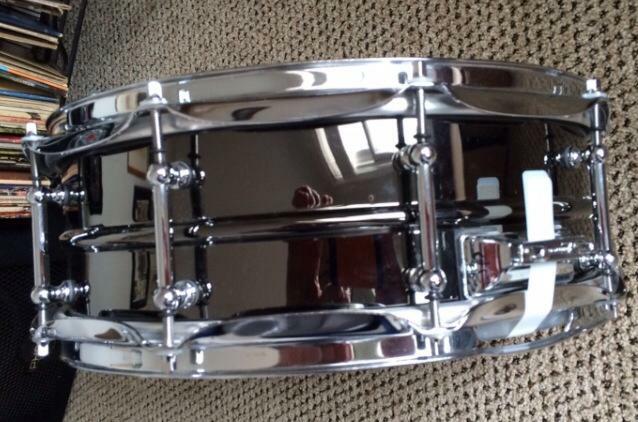 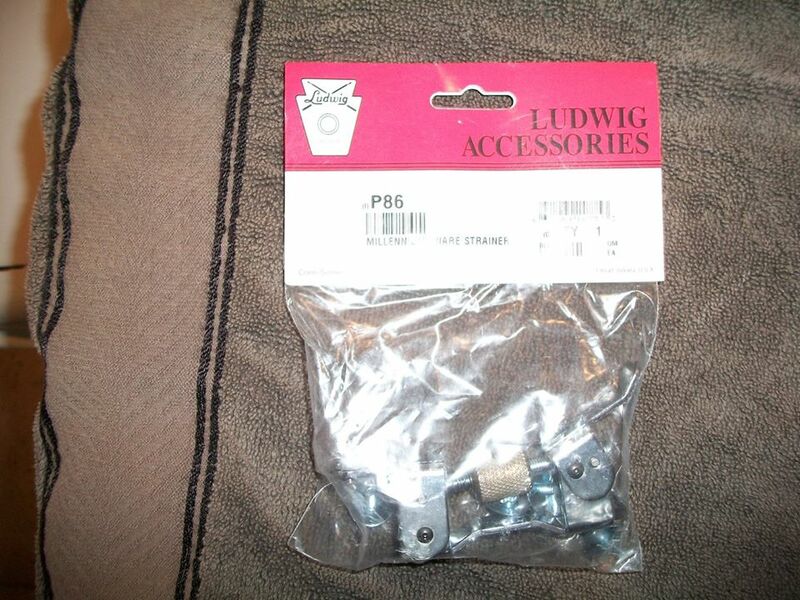 It measures 5″ x 14″ and has a beaded, black nickel over brass shell, with 10 tube lugs. 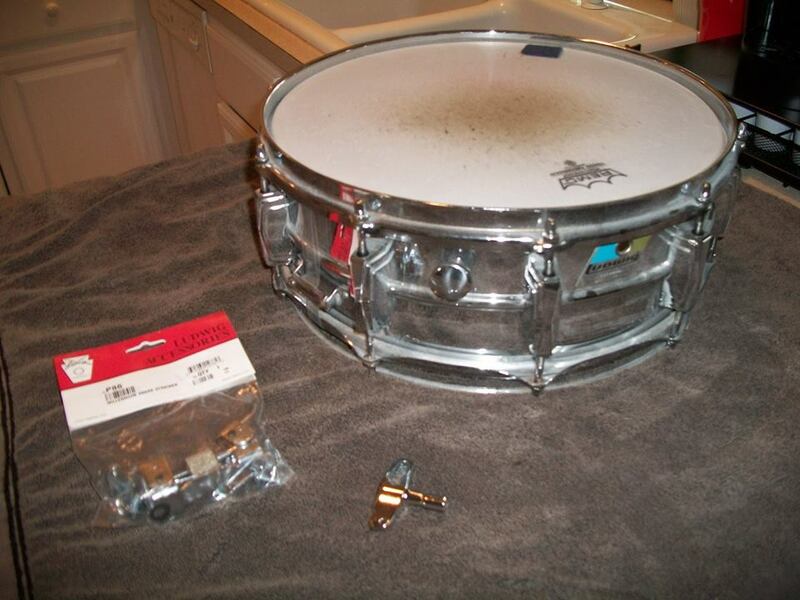 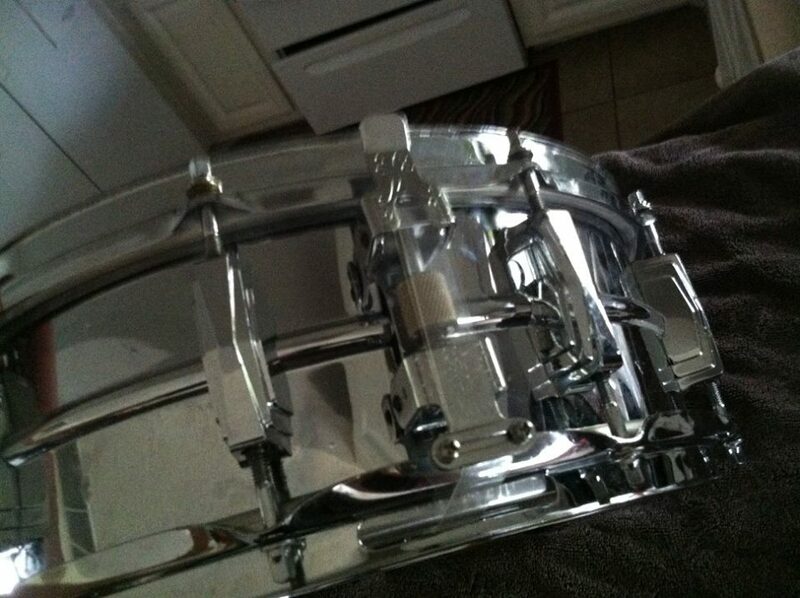 I have installed a REMO CS batter head, SNAPPY 20 Strand snares and a Ludwig P-86 Millennium Edition throw-off on it. 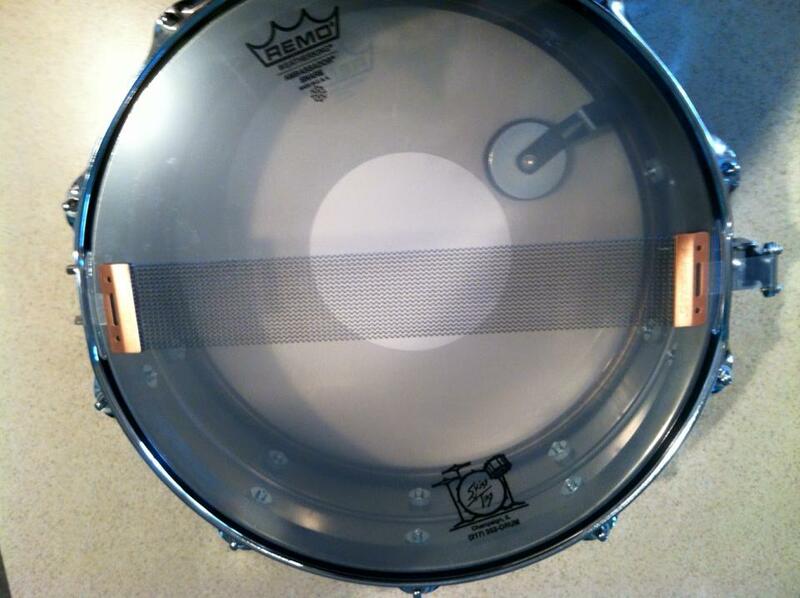 It is a great all-around drum that works well for both live and studio situations. 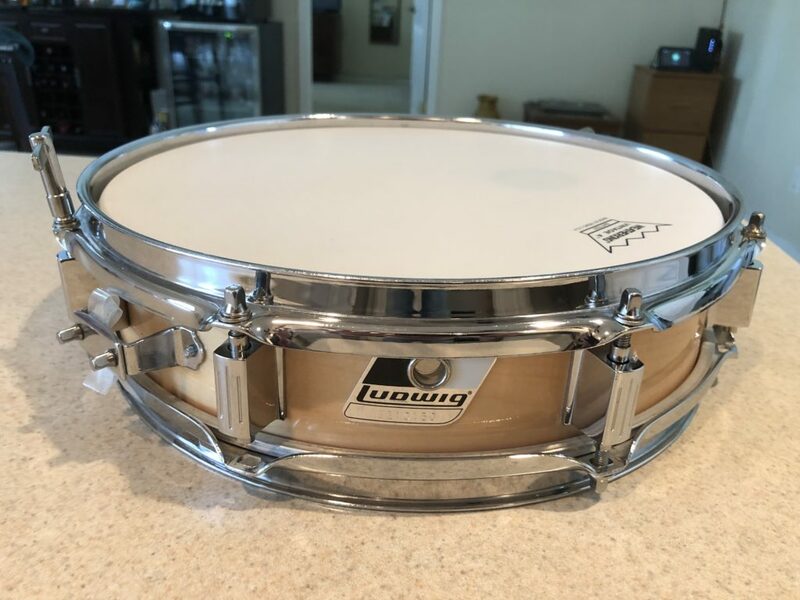 It is incredibly sensitive, with a strong, focused tone. 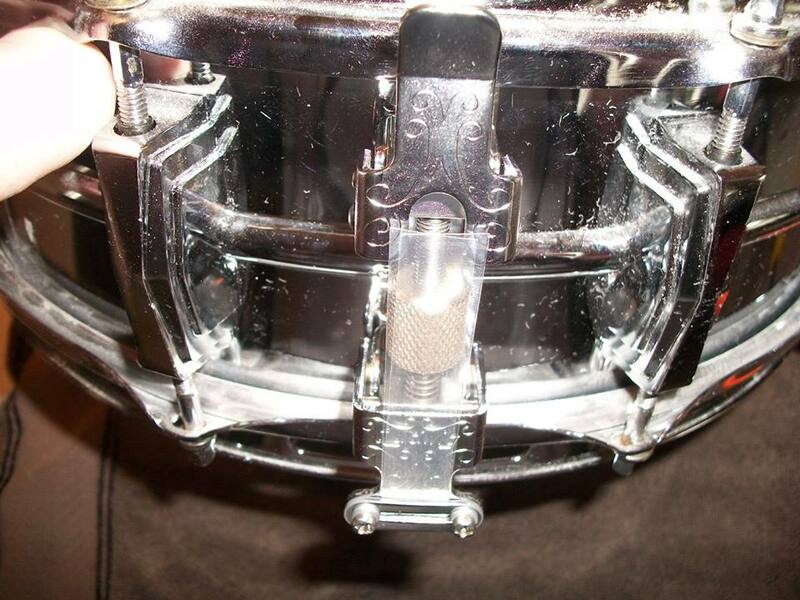 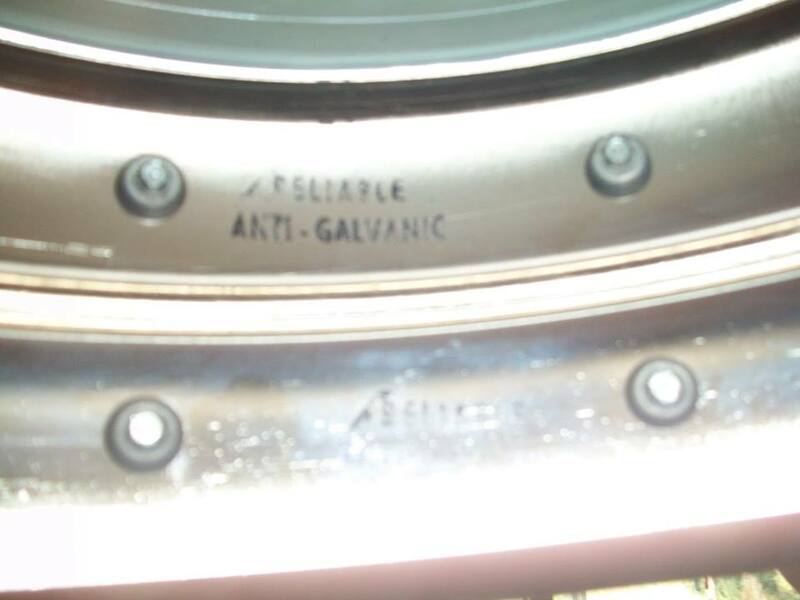 The rim shots this drum produces are unbelievably solid. 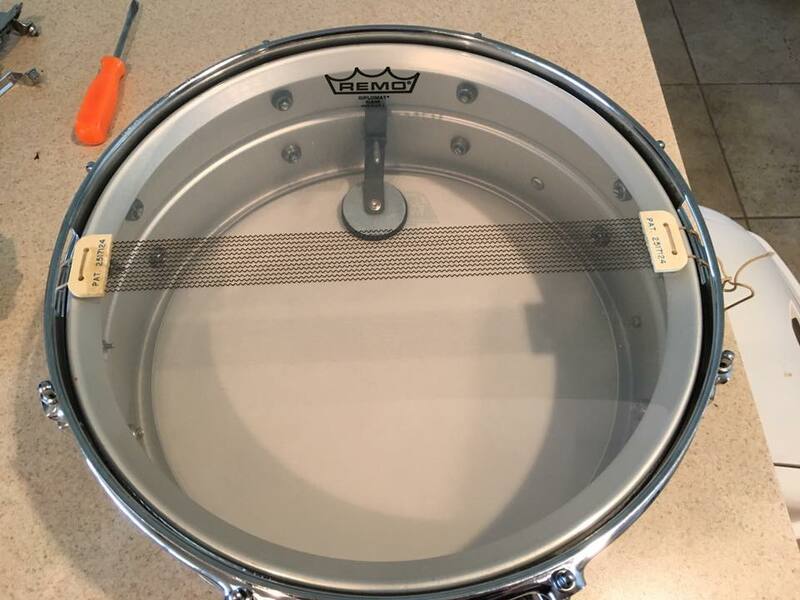 No additional dampening is required on this Masterpiece. 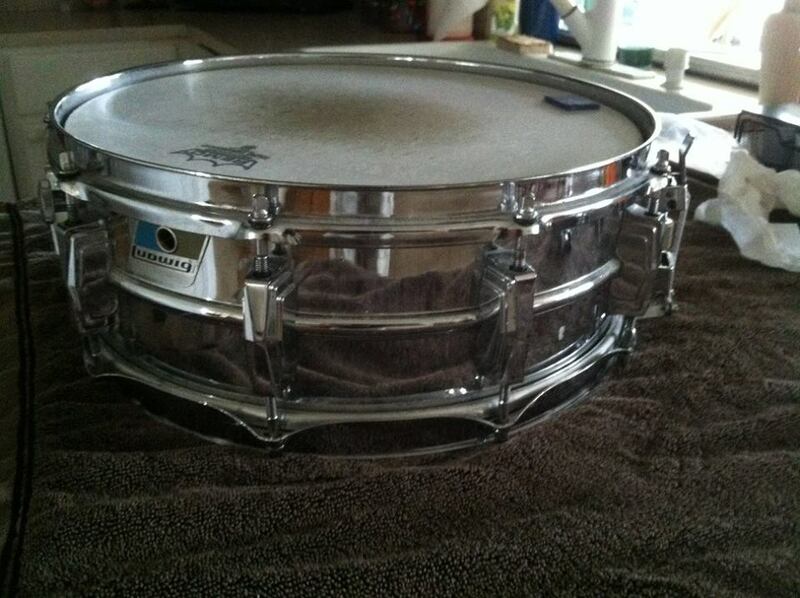 It never fails to garner compliments from audience members and fellow musicians alike. 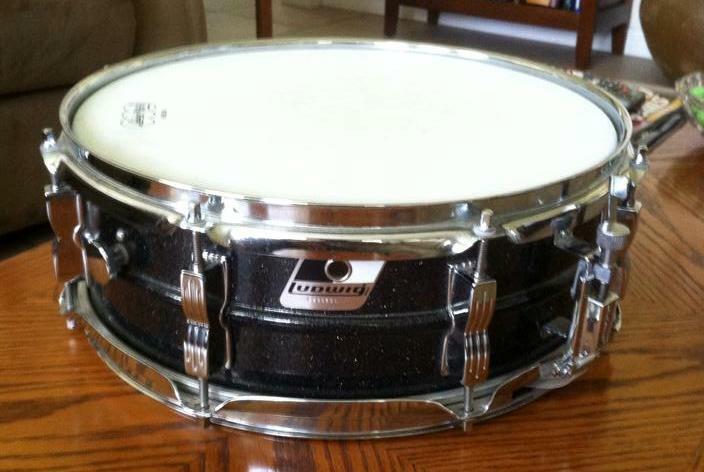 This is one my mid-90’s Ludwig Acrolites in Galaxy Black (Black-rolite). 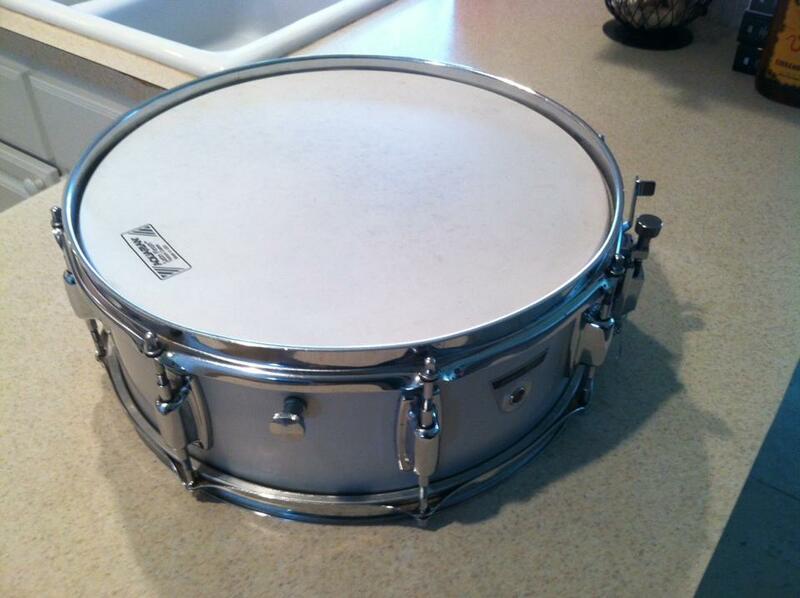 I have two of these because I love the sound of them so much. 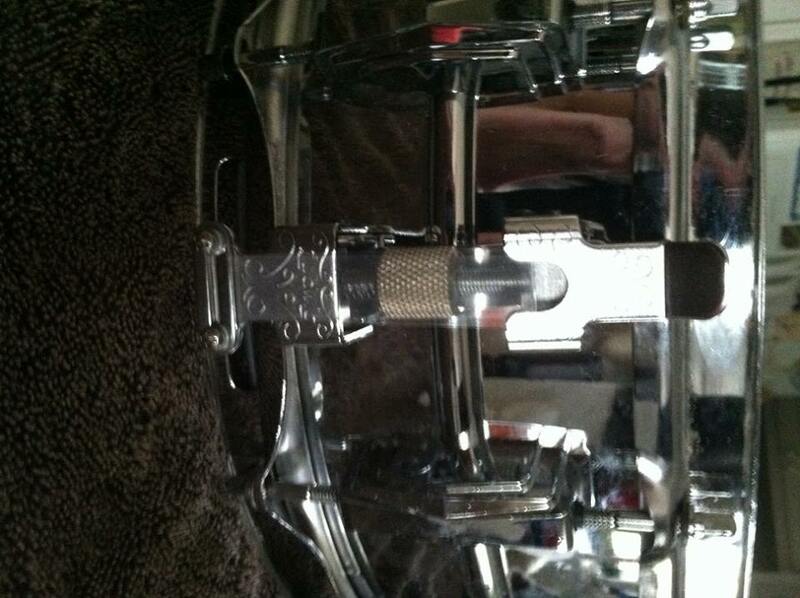 They seem to be a bit brighter sounding than the standard grey Acrolites (which I also love and have two of). 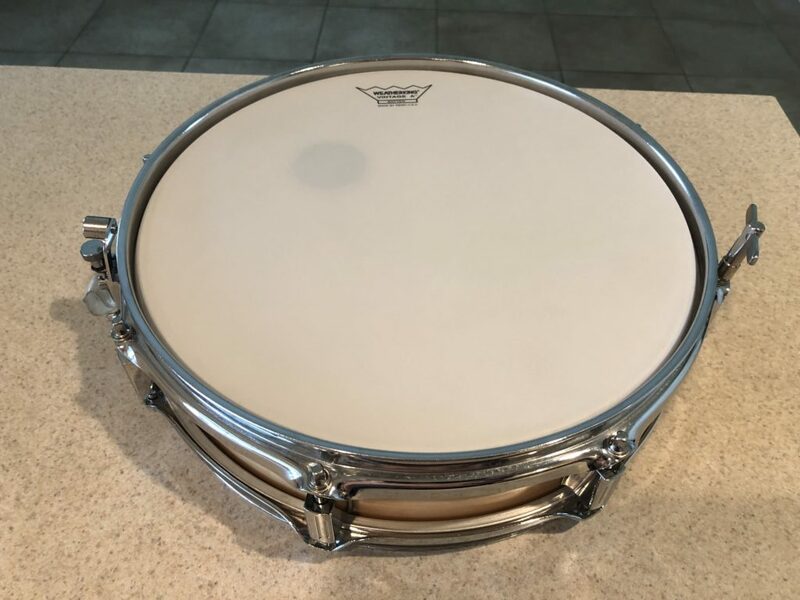 Great looking drum, with a genuine Ludwig Medium Coated Weather Master batter head giving it that distinctive Ludwig sound. 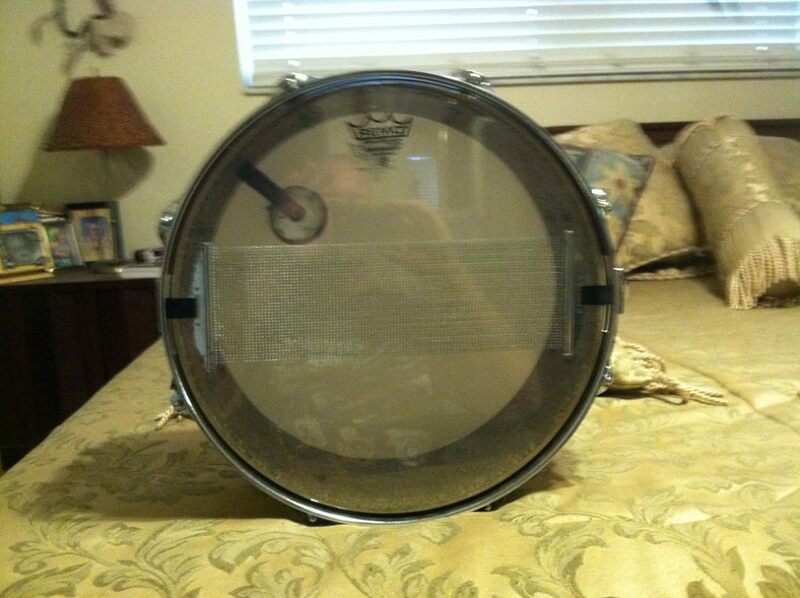 5″ x 14″, beaded aluminum shell. 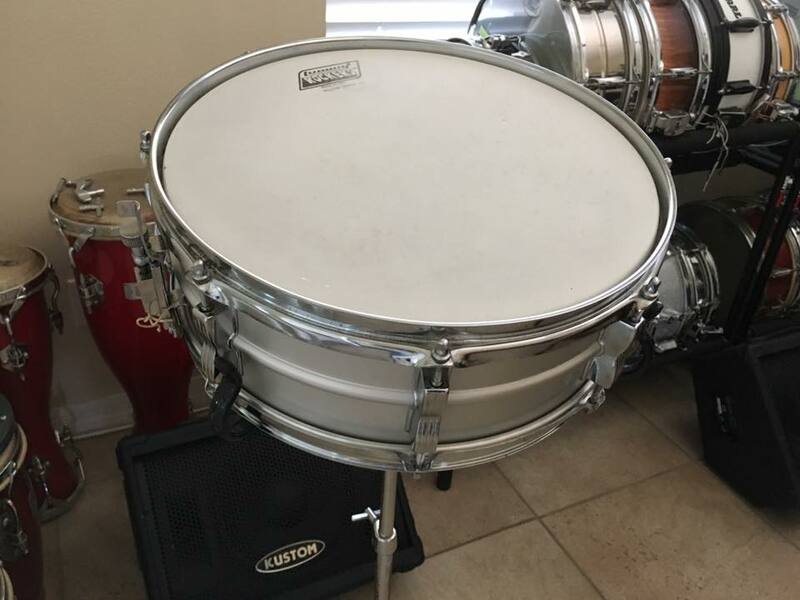 Simply a classic. 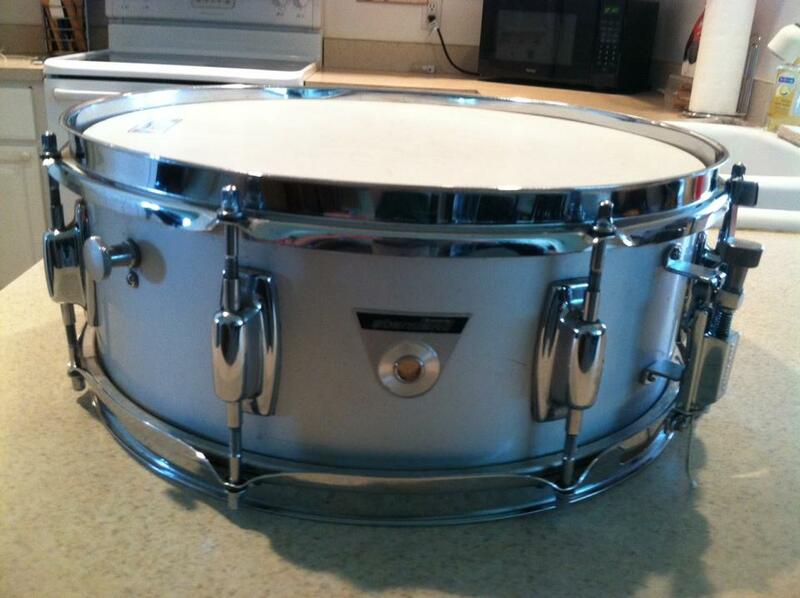 The Most Recorded Snare Drum in the world! 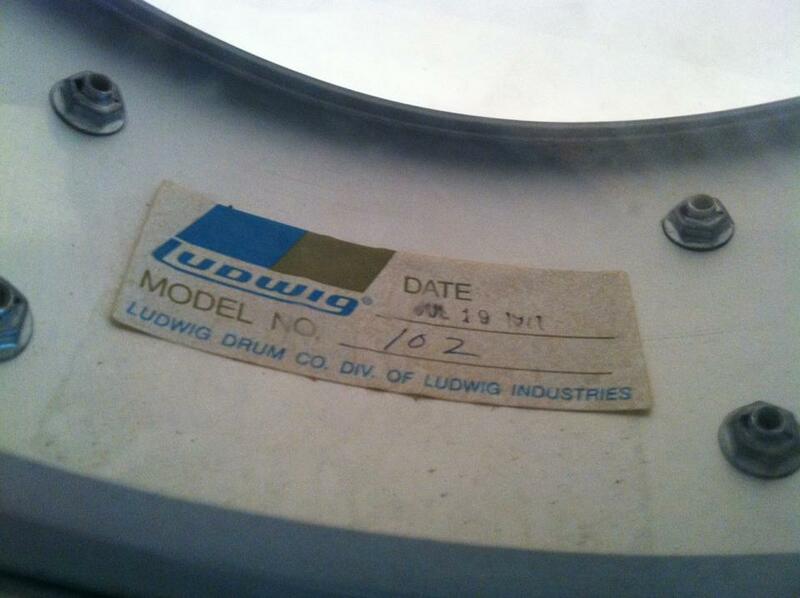 A favorite of drummers everywhere for over 50 years. 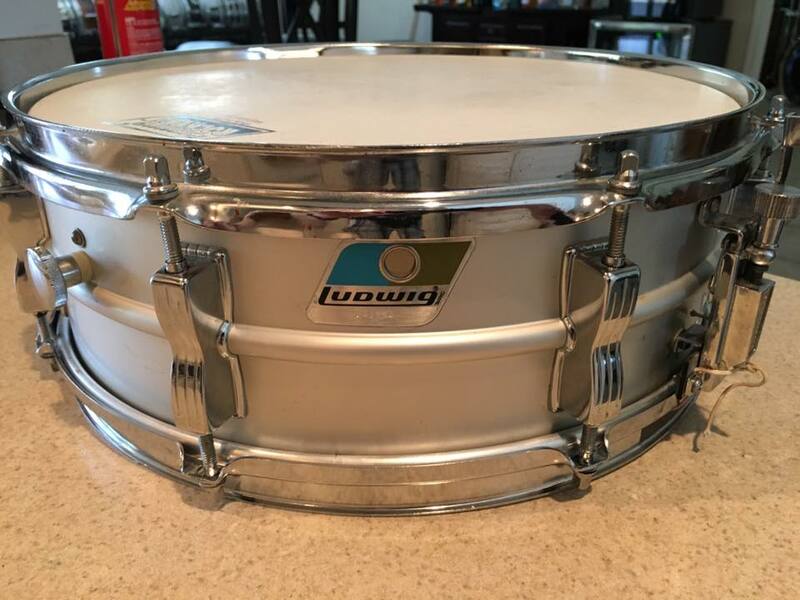 My mid-70’s Ludwig Superphonic is probably the most versatile snare that I own. 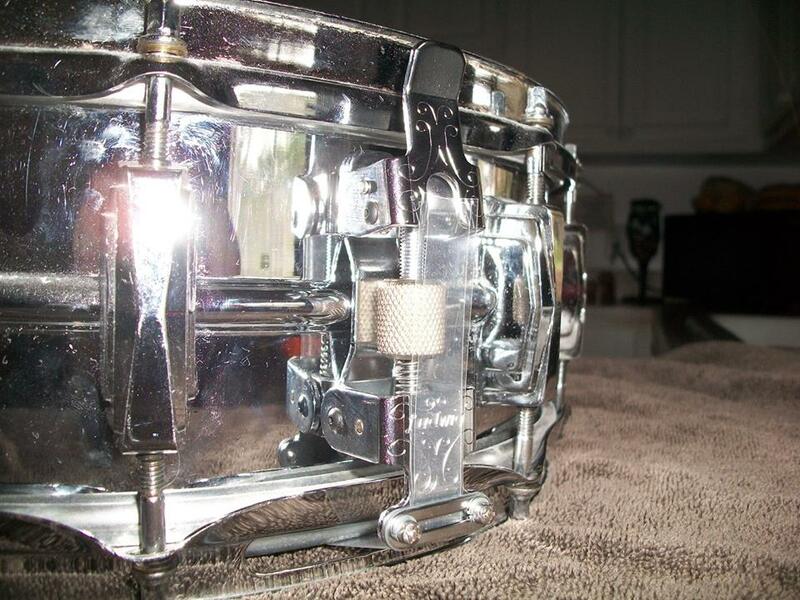 With its unique Ludalloy, beaded shell, 10 Emperor lugs, it is loud, soft, sensitive, brutal – you name it. 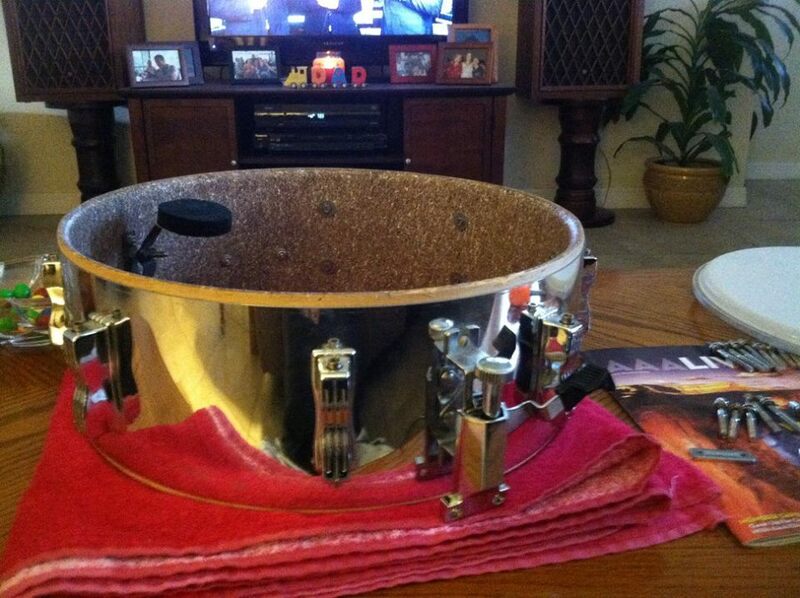 It was John Bonham’s preferred drum for a reason. 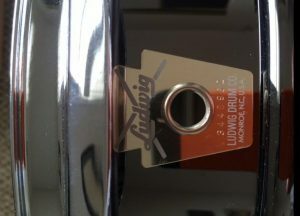 I added a P-86 Millennium Edition throw-off to mine. 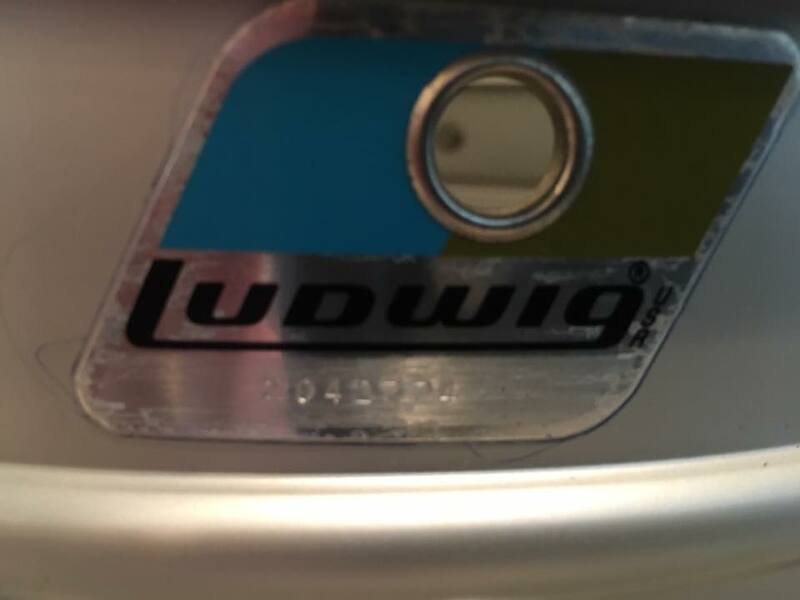 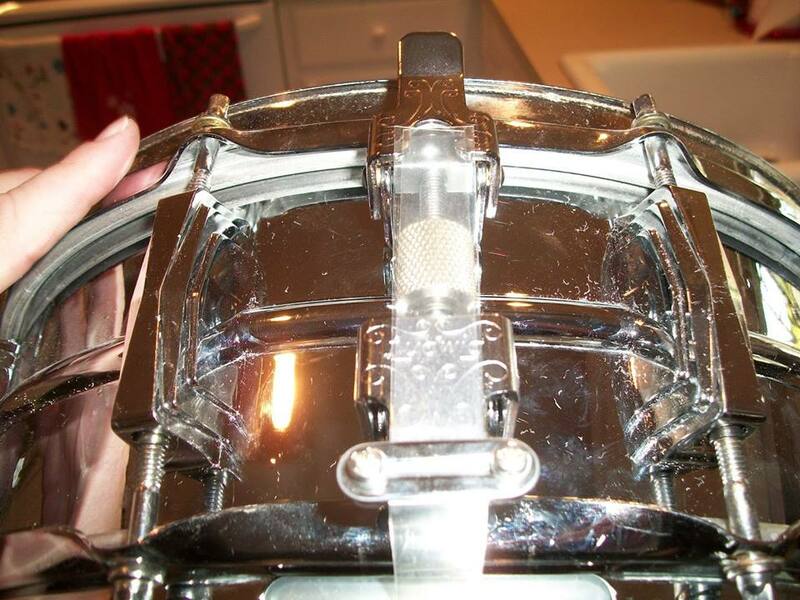 This is my mid-70’s Ludwig Concert Snare. 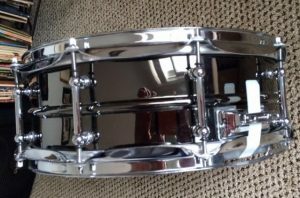 It is a good sounding drum, probably best suited for jazz and lower volume genres, not my favorite for providing rock back beats. 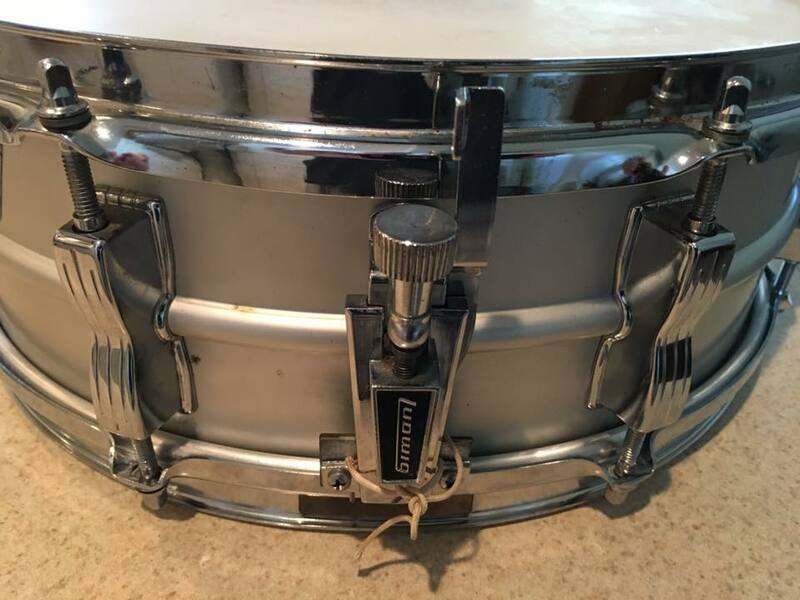 This is my mid-70’s Ludwig Standard snare drum. Much like my Ludwig Concert snare, it seems to work best in non-loud rock situations. 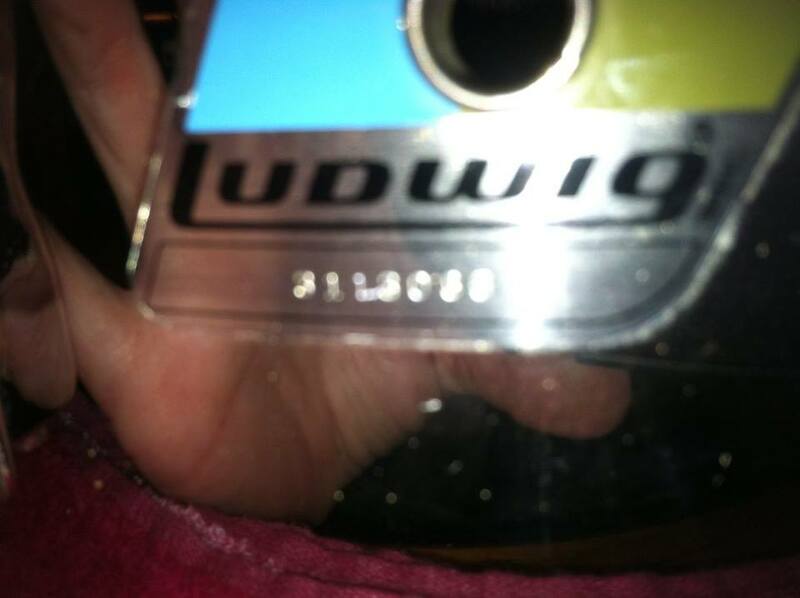 It is very crisp, but not heavy or overwhelming. 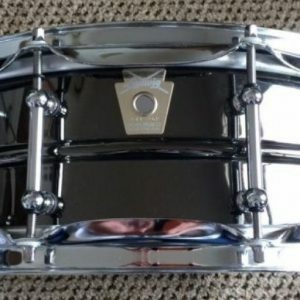 Good for jazz and pop, or venues where a massive snare tone is not desired. 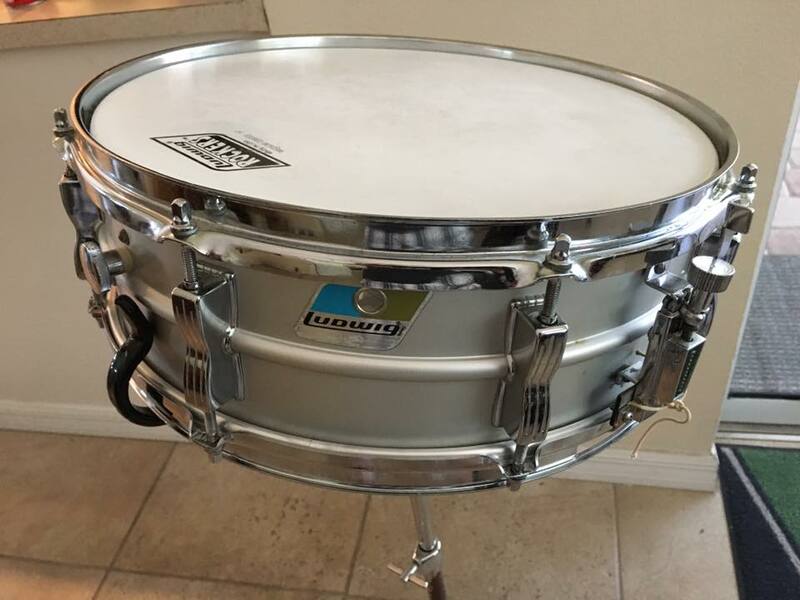 Just like my Black Acrolites, this drum is a classic. 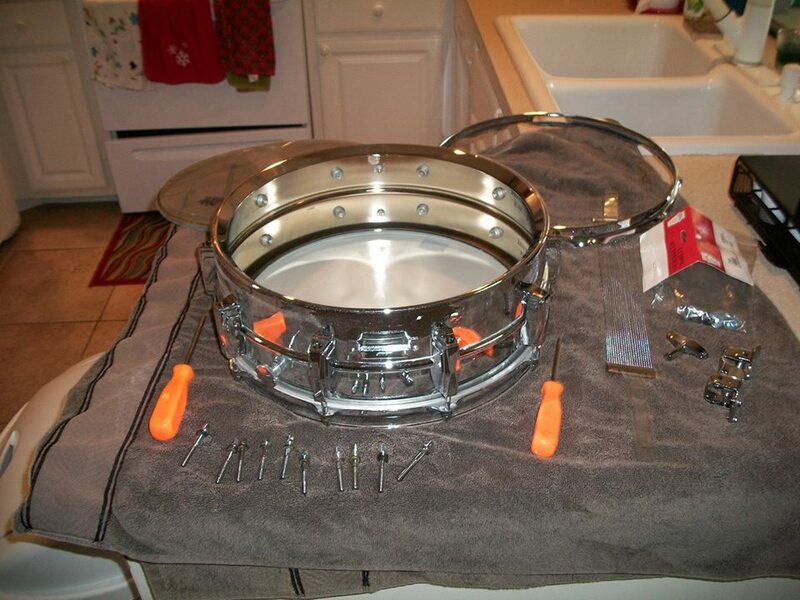 It required quite a bit of restoration effort, but was well worth it. 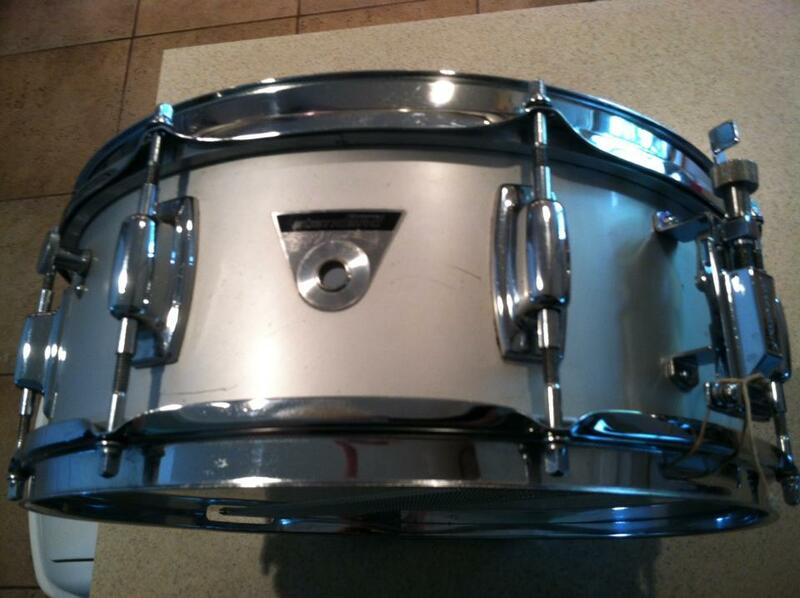 Once I finished restoring it, I gigged on it for about a month. 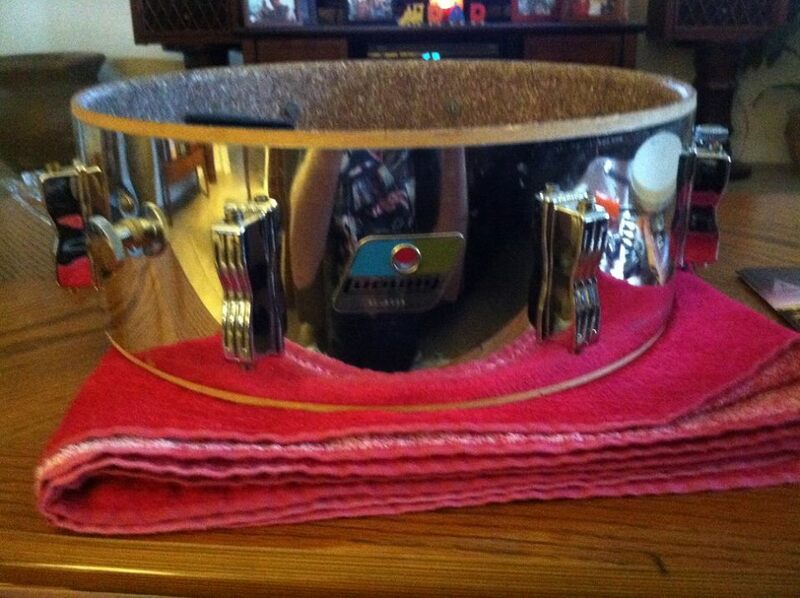 It now resides in my snare drum collection, resting on it’s matching vintage Ludwig stand. I love the sound so much that I eventually bought another one just like it, installed a P-86 throw-off on it and now use it and my Black Beauty as my preferred gigging snares. 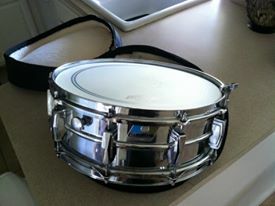 This is the latest addition to my collection. 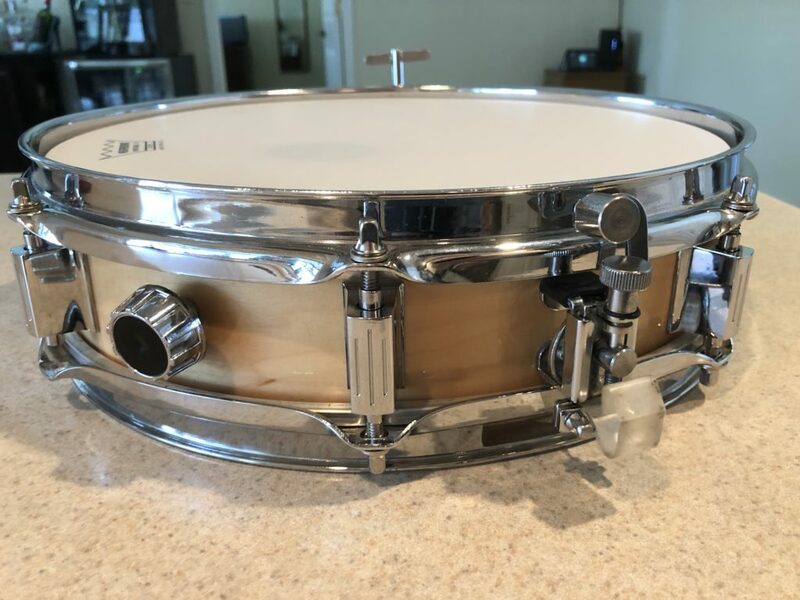 A nice Maple piccolo snare drum. 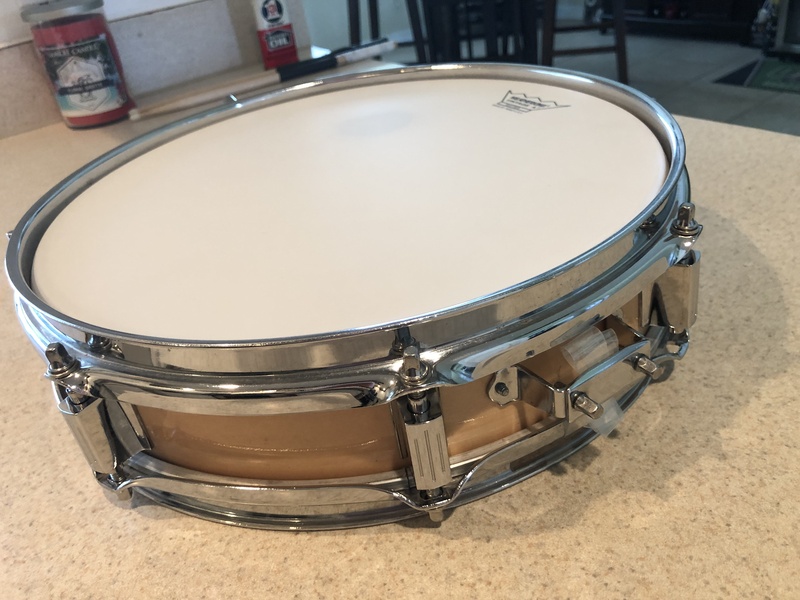 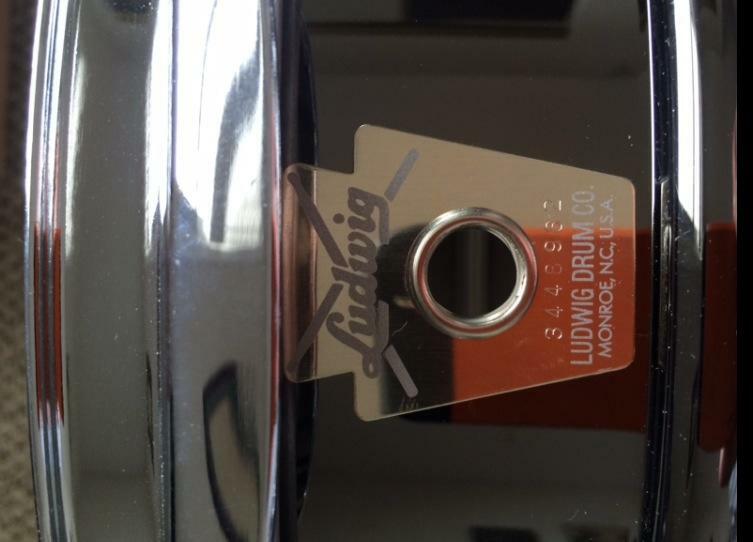 Measuring in at 3″ X 13″, it’s a great looking, and sounding drum.